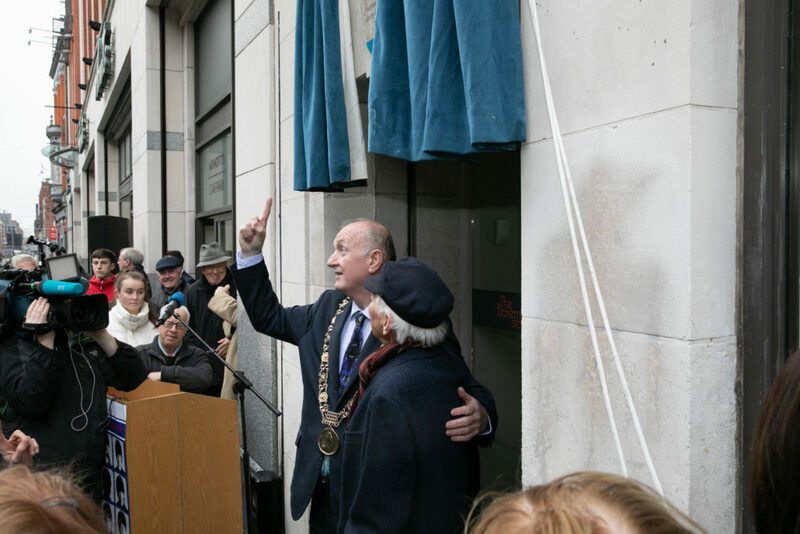 As part of Dublin City Council’s commemorative plaque initiative, Lord Mayor Nial Ring unveiled a plaque to the Beatles only concert in Ireland in Aldephi Cinema, now Arnotts department store. Along side Lord Mayor Nial Ring to unveil the plaque was broadcaster and radio host Gay Byrne, as Gay had originally met the Beatles for an interview in the height of their fame. 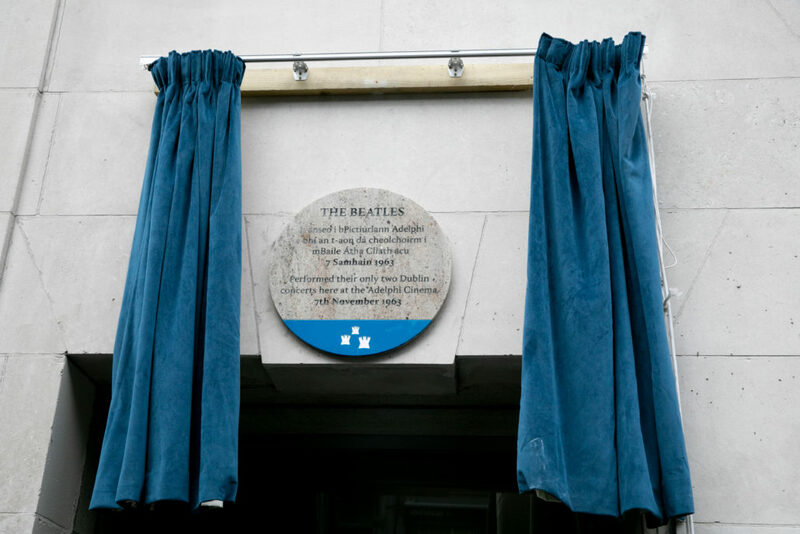 This Plaque was unveiled the 7th of November 2018, to commemorate the Beatles concert exactly 55 years ago that day. 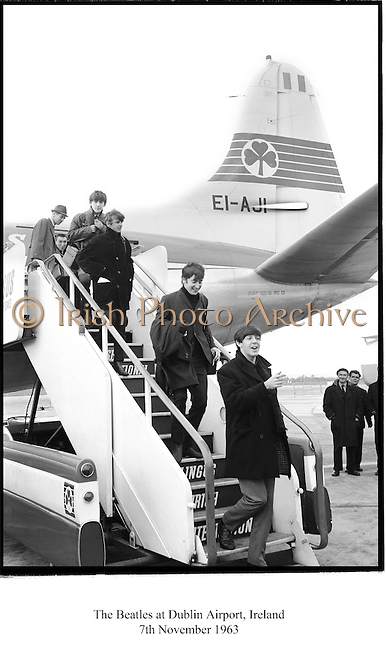 In 1963 Lensmen Photographers were at the airport to greet The Beatles and take some shots of their arrival before their 2 concerts in one day. 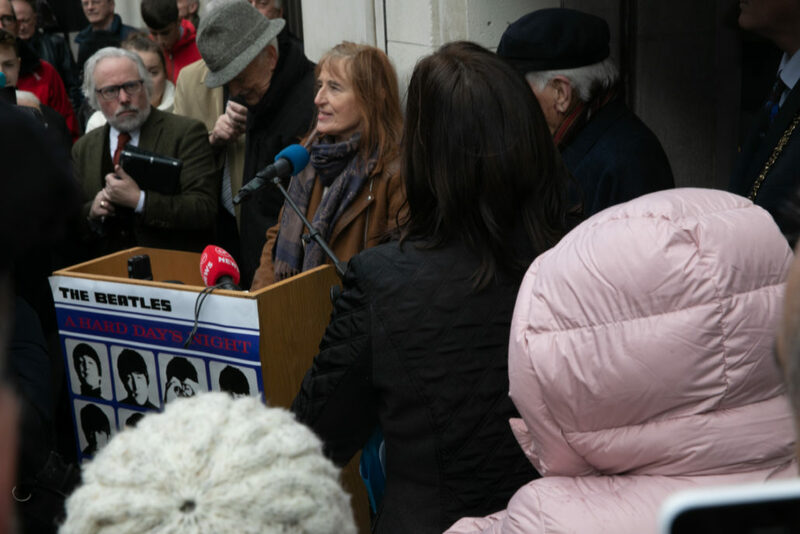 Thousands of fans crowded Middle Abbey Street in the hope of catching a glimpse of John Lennon, Paul McCartney, George Harrison and Ringo Starr. 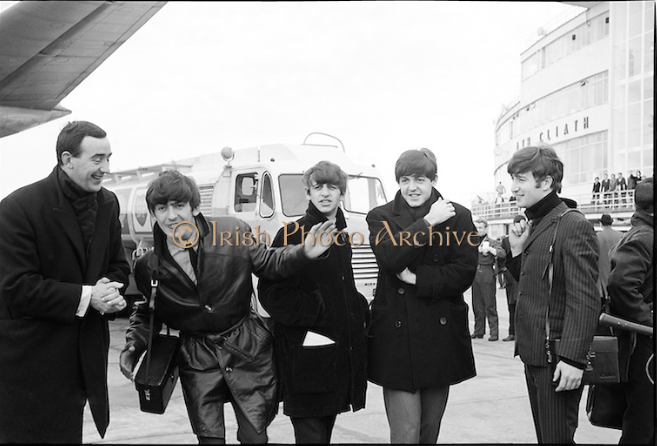 Lensmen were one of a lucky few photographers at the time to get shots of the Beatles before they were swarmed by fans. See more of our collection on our archival site, Irish Photo Archive.